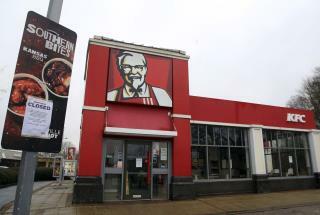 (Newser) – Failure to get your hands on finger-lickin'-good chicken is not a real emergency, no matter how bad your craving, British police are stressing in the midst of KFC's UK chicken shortage. Police in Tower Hamlets produced the warning about improper police calls Tuesday on Twitter, per the Evening Standard. Greater Manchester police have received such calls, while at least one lawmaker says he's been hearing from angry constituents, reports Business Insider. hmmm. appears at least some rumacraps did leave america after trump's election. how about the rest of you? as you can see your fellow morons are hurting and need your support. Its good to know morons are not bound by borders.